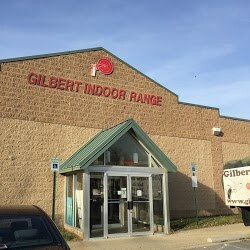 Photo Credit: Gilbert Indoor Range. Indoor shooting range, classes and Maryland handgun qualification course available. Mon-Fri, 12N-9pm; Sat, 10am-7pm; Sun, 12N-6pm.